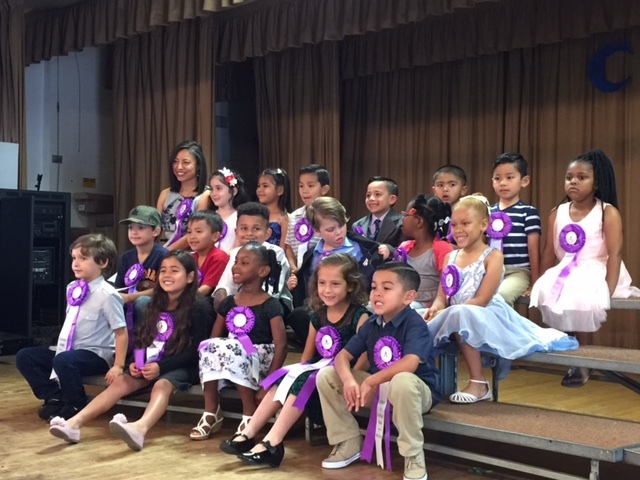 LAKEWOOD – Some 230 students in preschool through third grade are earning Pathway to Biliteracy Awards this week for their 2016-17 academic progress as part of Bellflower Unified School District’s growing dual-language immersion program. 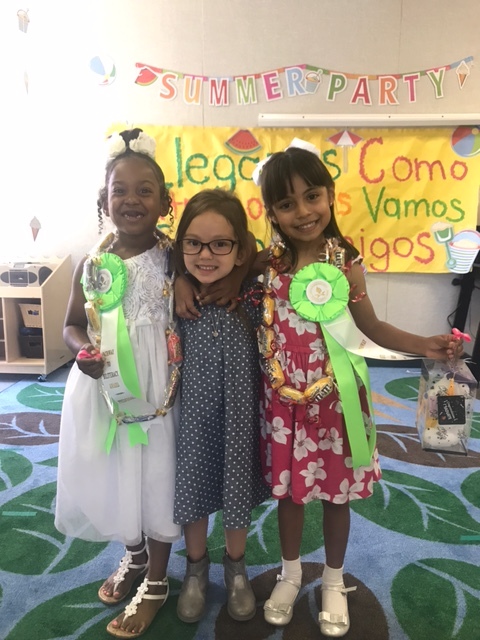 The students collected ribbons at a series of celebrations after demonstrating development of language and academic skills in English and Spanish. Kindergarteners, for example, showed their ability to count, respond to literature and perform other academic tasks in English and Spanish. The awards were created in spring 2016 and given that first year to 48 kindergarteners. This year, Bellflower Unified expanded the effort to recognize students in kindergarten through third grade at the Intensive Learning Center (ILC) as well as students in dual-language preschool programs launched in fall 2016 at the ILC and Washington Elementary School. Ceremonies were held Monday, Tuesday and today for 31 students in preschool, 67 students in kindergarten, 45 students in first grade, 45 students in second grade and 42 students in third grade. More than 350 family members and school leaders have attended the events, with children called one by one to receive ribbons; their families were invited to take photos with children and school representatives. Bellflower Unified launched the dual-immersion program with kindergarteners at the ILC in 2013-14. The program added first grade in 2014-15 and second grade in 2015-16. In 2017-18, the highly popular dual-immersion program will grow to serve kindergarteners at Washington Elementary School, creating a convenient option for families living in the north end of the district. The program follows a 90:10 model, with students receiving 90 percent of their instruction in Spanish during the early years, and gradually shifting to 50 percent instruction in each language. Each class includes a mix of native English and Spanish speakers, who support each other as they learn the two languages while mastering the rigorous California Standards-driven curriculum. In addition to its dual-immersion program, Bellflower Unified offers world language programs in middle school and high school in Spanish, French and Mandarin. BUSD_RIBBON 1: Intensive Learning Center kindergartener Lily Luis stands with her father and grandfather to show off her Pathway to Biliteracy Ribbon, representing proficiency in academic subjects and development of Spanish and English through Bellflower Unified’s dual-language immersion program. 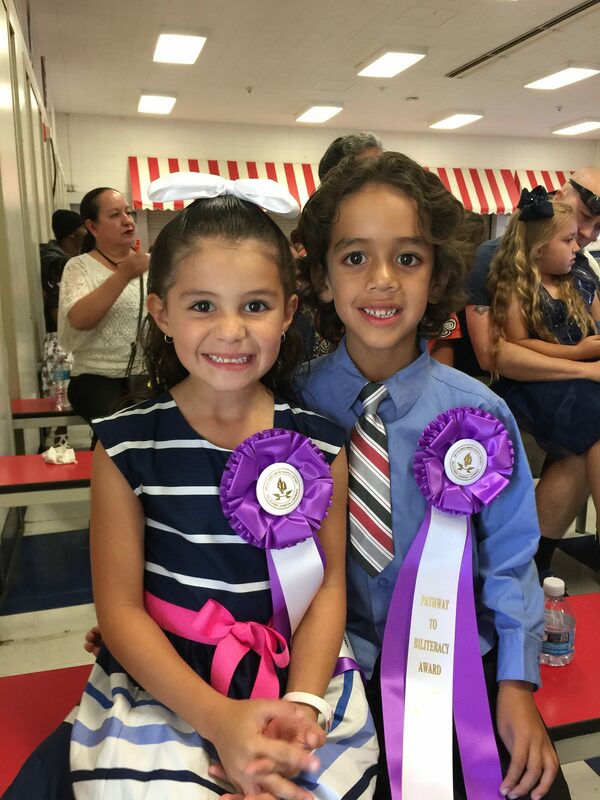 BUSD_RIBBON 2: Intensive Learning Center kindergarteners Zoe Carnow and Micah Carabes show off their Pathway to Biliteracy Ribbons, representing proficiency in academic subjects and development of Spanish and English through Bellflower Unified’s dual-language immersion program. BUSD_RIBBON 3: Intensive Learning Center kindergartener Meyonce Adams stands with her mother and school officials to show off her Pathway to Biliteracy Ribbon, representing proficiency in academic subjects and development of Spanish and English through Bellflower Unified’s dual-language immersion program. BUSD_RIBBON 4: Bellflower Unified dual-language immersion preschool teacher Veronica Jimemez, right, instructional assistant Esther Garcia and her class present their Pathway to Biliteracy Ribbons and certificates. The preschool program was added in fall 2016. 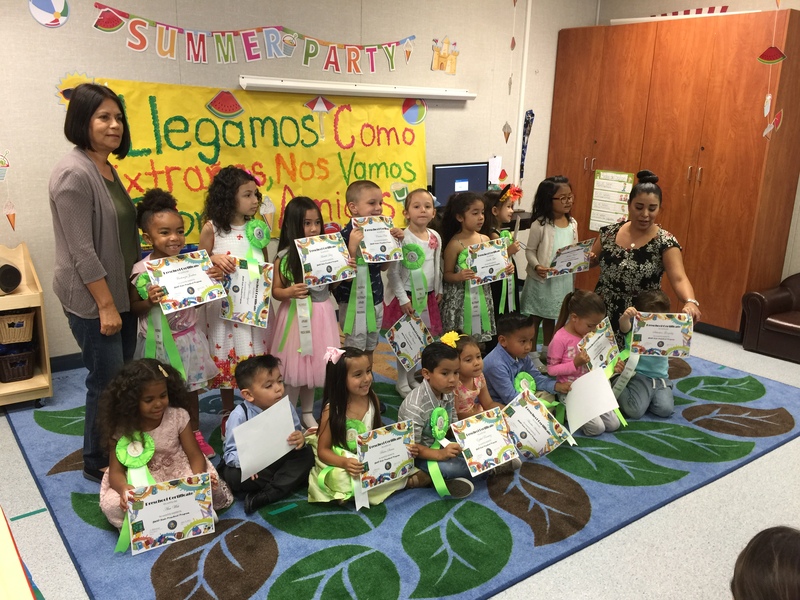 Bellflower Unified dual-language immersion preschool teacher Veronica Jimemez, right, instructional assistant Esther Garcia and her class present their Pathway to Biliteracy Ribbons and certificates. The preschool program was added in fall 2016. 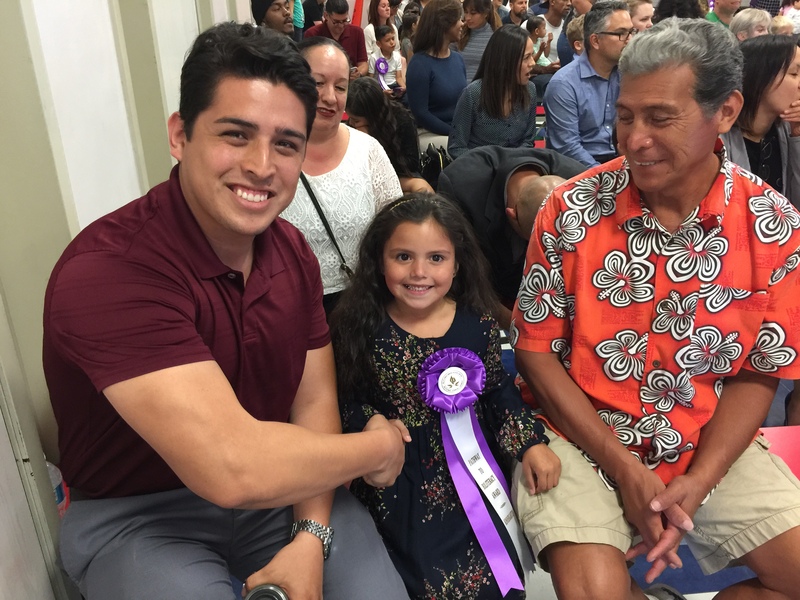 Intensive Learning Center kindergartener Lily Luis stands with her father and grandfather to show off her Pathway to Biliteracy Ribbon, representing proficiency in academic subjects and development of Spanish and English through Bellflower Unified’s dual-language immersion program. Intensive Learning Center kindergarteners Zoe Carnow and Micah Carabes show off their Pathway to Biliteracy Ribbons, representing proficiency in academic subjects and development of Spanish and English through Bellflower Unified’s dual-language immersion program. 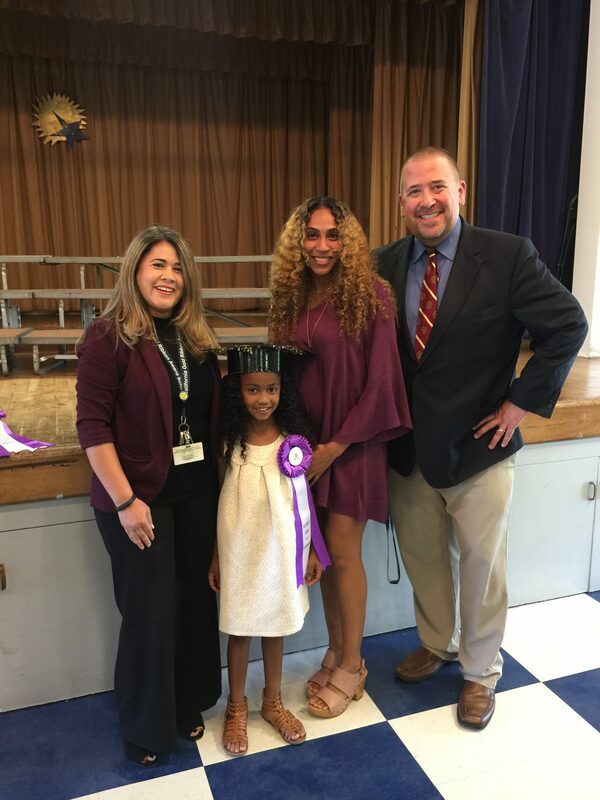 Intensive Learning Center kindergartener Meyonce Adams stands with her mother and school officials to show off her Pathway to Biliteracy Ribbon, representing proficiency in academic subjects and development of Spanish and English through Bellflower Unified’s dual-language immersion program. 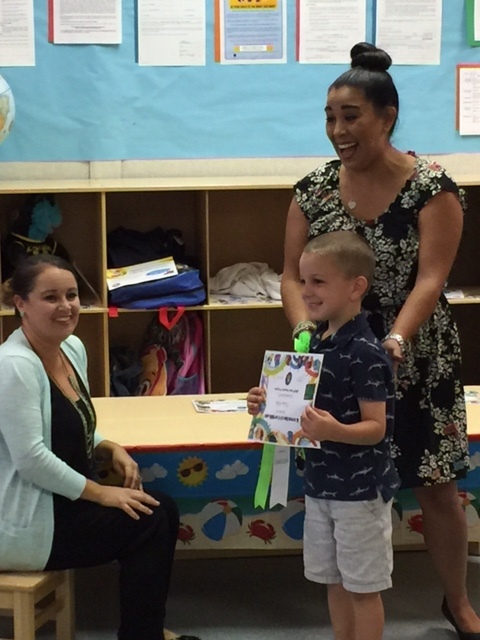 Intensive Learning Center preschooler Carter Pettit shows off his Pathway to Biliteracy Ribbon and certificate, representing proficiency in academic subjects and development of Spanish and English through Bellflower Unifiedís dual-language immersion program. Intensive Learning Center kindergarten teacher Mayra Garza and her dual-language immersion students show off the Pathway to Biliteracy ribbons they earned after demonstrating their academic skills and language developing in English and Spanish. Intensive Learning Center preschool students Natalia Morris, Anabella Hermosillo and Grace Ojeda show off their Pathway to Biliteracy Ribbons, representing proficiency in academic subjects and development of Spanish and English through Bellflower Unifiedís dual-language immersion program. 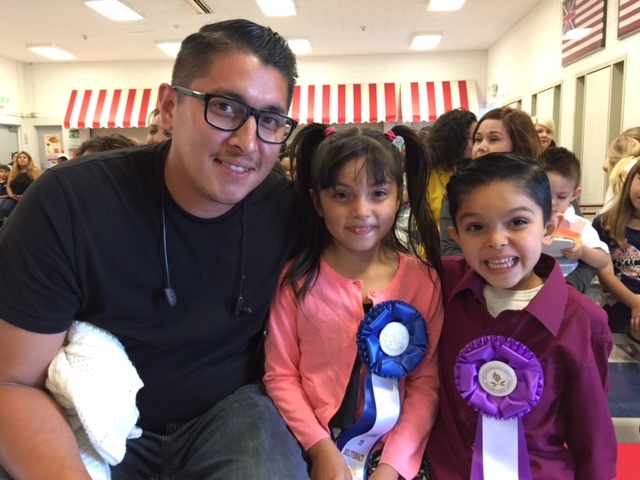 Intensive Learning Center first-grader Giselle Hernandez and kindergartener Pedro Hernandez stand with their father and the Pathway to Biliteracy ribbons they earned after demonstrating their academic skills and language developing in English and Spanish.